Nothing says refinement in the 21st century quite like a well-manicured “Following” list on Twitter. 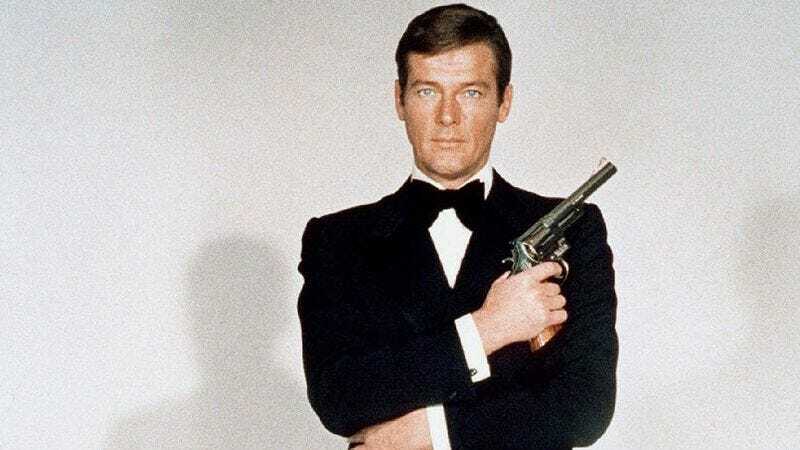 The real-world British spy agency GCHQ (that’s Government Communications Headquarters) recently launched its own official Twitter account, and, as of this writing, it follows only one other account: that of fictional British superspy James Bond. How appropriate. Bond actually does what most GCHQ probably wish they were doing all day, like drinking martinis and romancing beautiful women rather than snooping through people’s emails. But why should this agency, tasked with policing the online world in the interest of a safer tomorrow, even bother with a public-friendly social media account? As revealed in this article by Gianluca Mezzofiore, GCHQ has had a bit of an image problem since 2013, when tattletale Edward Snowden revealed to the world via leaked documents that the agency was assisting the United States’ NSA in a massive digital surveillance program. The Twitter account is meant to show the world that GCHQ isn’t some Orwellian nightmare; it’s just a friendly neighbor in cyberspace. Care to do a “soccer-doku” puzzle, neighbor? So far, GCHQ’s account is pretty sparse, amounting to a handful of brief, unrevealing tweets. For now, the agency is still getting the hang of this “interacting with the public” thing. The main message so far has been that Big Brother may indeed be “watching you,” but he’s also probably watching Quantum Of Solace or Casino Royale.